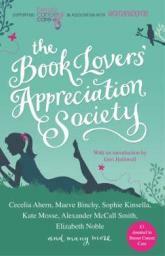 Stories by Cecelia Ahern, Maeve Binchy, Victoria Hislop, Wendy Holden, Sophie Kinsella, Kate Mosse, Joanna Trollope and many more. Irresistible tales of love, friendship, passion and betrayal from some of the top names in fiction. From Maeve Binchy to Jane Fallon, Adriana Trigiani to Alexander McCall Smith, this is the must-have collection of the year.